PMC Prestige hotel is a budget hotel located at Km 8 Idiroko Road, Ado-Odo, Ota, Ogun State, Nigeria. It is centrally situated with convenient access to the prime business nodes in Abeokuta. PMC Prestige hotel has uniquely designed and furnished rooms that are of different categories. Categories of rooms available in this hotel are the Standard Rooms, Deluxe Rooms, Executive Rooms, Royal Suites and Presidential Suites. 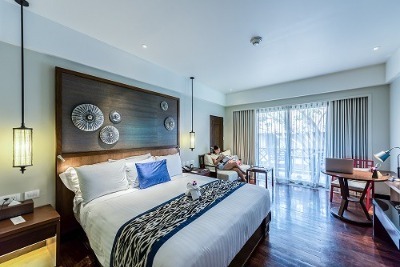 These rooms have air-conditioners with TV sets, big and comfortable bed, bedside cabinets, a bedside lamp, wardrobe, refrigerator and en-suite bathrooms. A couple of facilities have been put in place at PMC Prestige hotel to adequately satisfy the needs of guests. These facilities include: free Wi-Fi, 24-hour front desk service, restaurant and bar/lounge where guests can select from a variety of local and continental meals while sipping from a glass of alcoholic or non-alcoholic drinks, 24-hour power supply and an adequate parking space. It offers additional services to its guests, such as: 24-hours housekeeping/room services, car hire, medical services, concierge, meeting rooms and an event hall. At PMC Prestige hotel security personnel are available to ensure the safety of its guests. Q: Does PMC Prestige hotel have a restaurant? A: A restaurant is available at PMC Prestige hotel. Q: Does PMC Prestige hotel offer room service? What are the hours? A: 24hour Room service is available on request. Q: Does PMC Prestige hotel have on-site parking? Is it free? Q: Does PMC Prestige hotel offer free Wi-Fi? A: PMC Prestige hotel offers free Wi-Fi to all checked-in guests. Q: Does PMC Prestige hotel have a swimming pool? PMC Prestige Hotels is an affordable hotel in Ota, Ogun.